We can hardly believe it but the 2018 safari season has come to a close. 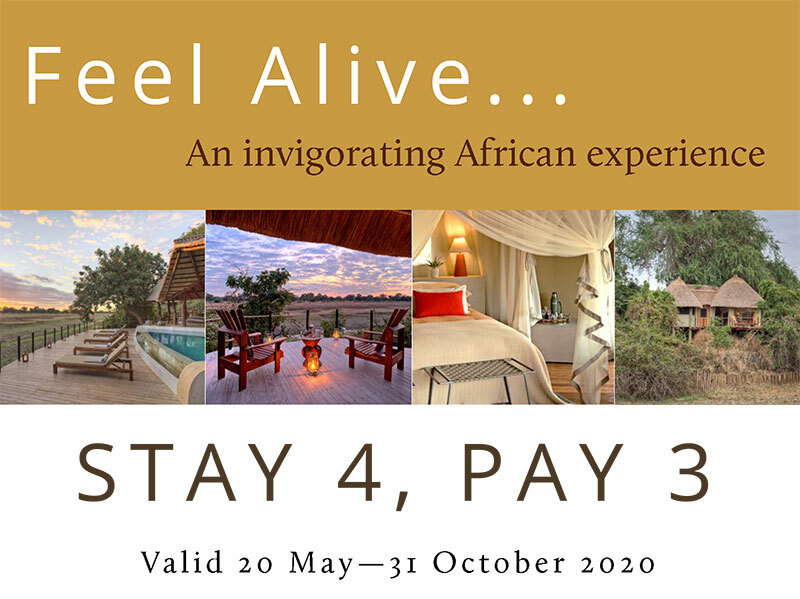 After 5 months of extraordinary safaris with record numbers of guests it’s time to close up camp before the rains start. 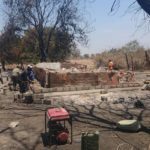 This was a season of change (a newly refurbished camp, a new management couple and a new partnership with Mantis) and was not without its challenges (most notably the September fire in our staff quarters). But it was without doubt a successful season: the wildlife viewing was unbelievable, our guest feedback has been overwhelmingly positive and our staff have finished the season proud of what they have achieved and excited about what the next season will bring. In this issue of the Lion Print we are featuring an end of season Big Cat Update and a look into our new staff village. Lion Camp hosted a film crew for much of the 2018 season. You may have seen the film clip we shared on Facebook last week: The Leopard who changed her spots. 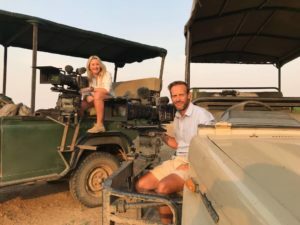 Nathan Pilcher, who has been a cameraman for the last 3 film crews staying at Lion Camp and who is also a South Luangwa Safari Guide with extensive experience in the Lion Camp area has kindly written the below end of season big cat update for us. Last year Lion Camp’s dominant female Leopard, Malica, started to give up her territory for her daughter Chipazua, which is unusual as a mother leopard would usually keep her territory and force any offspring out to establish their own territory. This season Chipazua has been seen regularly between Fish Eagle Lagoon and Acacia Loop, and unfortunately Malica has not been seen at all. Chipazua was mating regularly with one of the dominant males and we hope she will soon start showing signs that a cub is on its way. Chipazua is very much like her mother being a great hunter, calm and incredibly photogenic. Another mother and cub have been regularly seen further south around the Ebony Grove, along with a number of other Leopards. 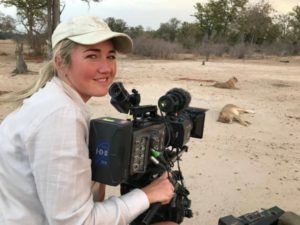 This season we have again been largely concentrating on filming the lions of the area, with lots of changes starting to happen and possible pride take-overs. The lions this year have been displaced all over due to four young males having moved into the area and disrupted every pride. We have subsequently named these boys the Nomads, as they wander all over looking to establish themselves. The Nomads have spent a lot of time with the Kapanda pride inland and west of Lion Camp, and have regularly been seen mating with them. Lion Camp’s main pride, the Hollywood Pride, consists of 6 females this year as much of the pride last year was made up of subadult males who have moved on to find their own territory. Three of these males have moved all the way down to Mfuwe and are in the process of chasing off the well known males Ginger and Garlic. 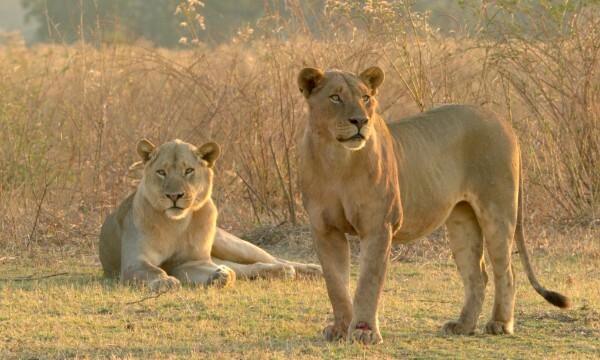 The Hollywood females have been a little uncertain with the Nomads in their territory, and have been spending much of their time in the north of their territory above the Bongwe area. Halfway through the season the Hollywood’s killed a buffalo near camp, and were quickly joined by the Nomads and one of the Kapanda females. The feeding started off fairly smoothly but suddenly the males and the Kapanda female started fighting and inflicted serious wounds to the Hollywood’s. Since then the Hollywood’s have not ventured back down into their core territory. In the last few weeks of the season the Kapanda females have been spending more and more time right in the Hollywood territory, and last week were sat on a small hippo right by Lion Camp, along with a large old male who no one recognises. After the Nomads attack on the Hollywood’s they then went south and chased off the Mwamba Kapanda (MK) pride which this year has consisted of 15 lions plus 5 hidden cubs (2 x three months old and 3 x four months old), and the two big males with them (one male less that the previous year). With the Nomads having chased them, the MK’s have been hiding in the very south of their territory. Normally cubs would be introduced to the pride at around two months old, but with the Nomads presence they have remained hidden, and only seen occasionally. 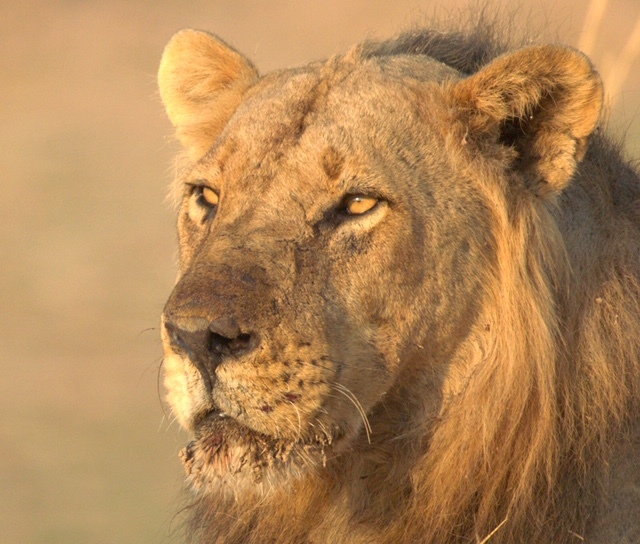 One of the cubs got separated from its mother and spent four days with some of the pride members or mostly on his own. After staying with him for four days we eventually lost sight of him, but found him again a few days later with his mother and siblings looking healthy again, if not still a bit mischievous. Our hope is that the Hollywood’s will eventually settle down with the Nomads to build a strong pride for the coming years, but with the rains arrival we will have to wait until next year to see how the pride dynamics have settled. 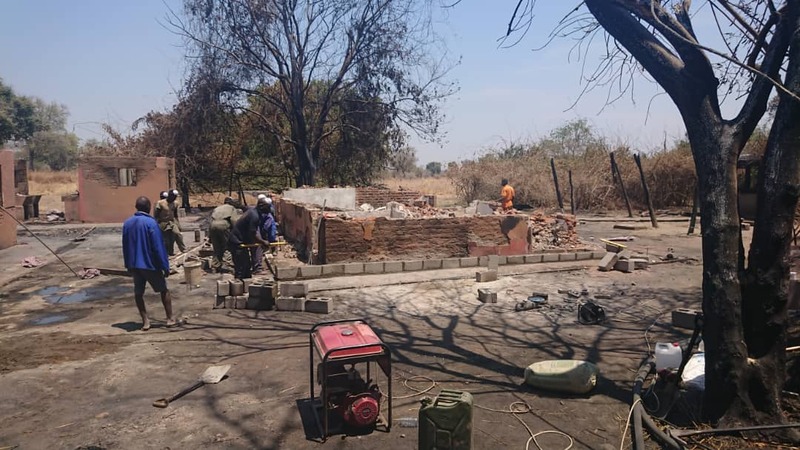 NEW STAFF ACCOMMODATION FOR LION CAMPAs many of you will know, the Lion Camp staff village caught fire in September. Thankfully, no one was hurt and we managed to contain the fire to the staff quarters which are located across the road from the main camp. 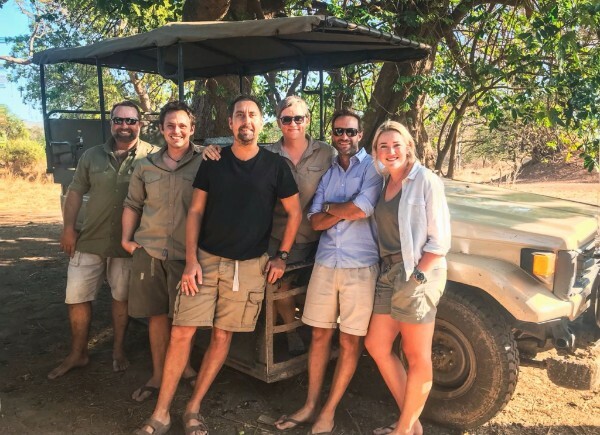 The team in camp did an incredible job of keeping the camp operating with guests enjoying extraordinary safaris while the fire was fought and brought under control. 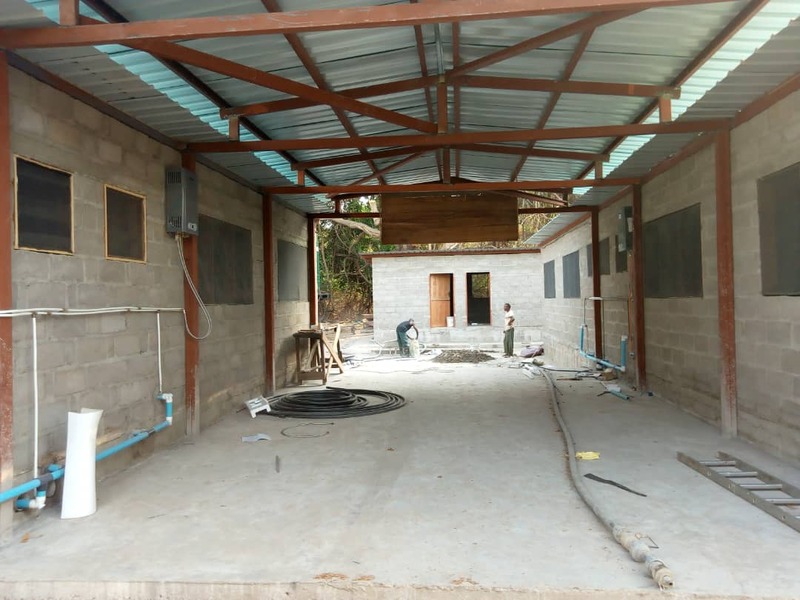 The building of a new and improved staff village began right away and is now almost complete. 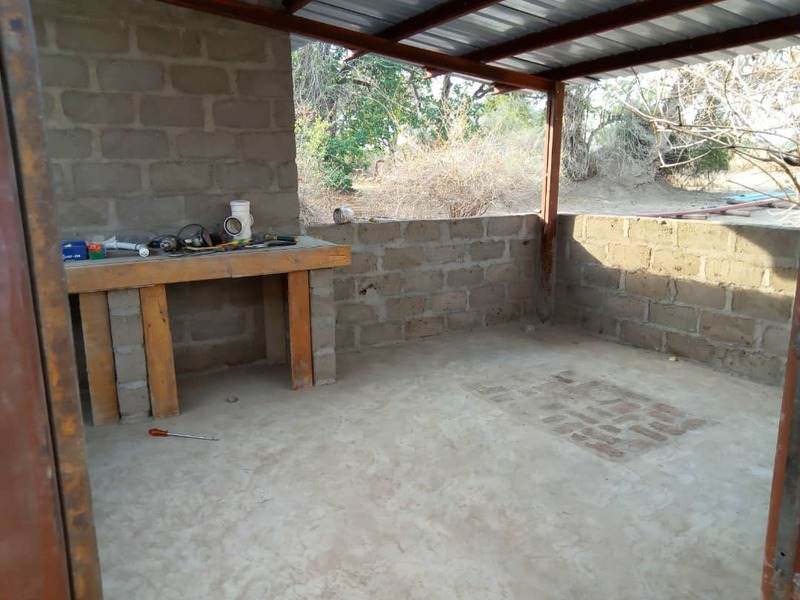 Below is Vicky and Wayne’s story of the event as well as some photos of the new build. At 16h30 on the 5th September a staff member shouted fire, within seconds of the alarm the roof of one of our staff houses had caught fire. Within 10 minutes the fire had spread through the staff village. What a night this turned out to be! After a roll call to ensure everyone was safe the 24 hour struggle to contain the fire began. The team, now joined by staff from other lodges in the area, worked tirelessly beating and containing fires. We fed the firefighters in groups and they slept in three hour intervals while others continued fighting the fire. We fought the fire for 2 solid days until eventually every ember and threat was dosed out. 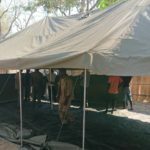 During all of this we had a full camp of guests to take care of and not let the fire impact on their safari experience. Although very tired, our chefs and service teams put on their uniforms and served their guests with a smile as they always do. 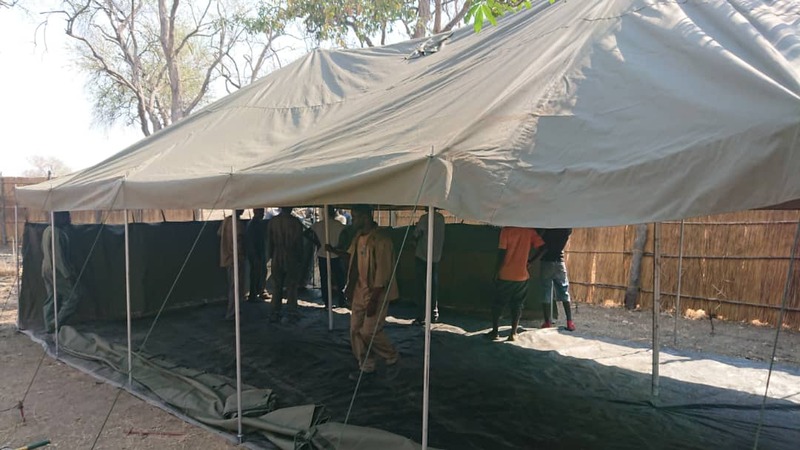 We imported large army tents from South Africa and within a week temporary accommodation was ready for all the staff. 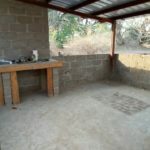 We promised to give them their accommodation back before the rains start in November, and so we did. 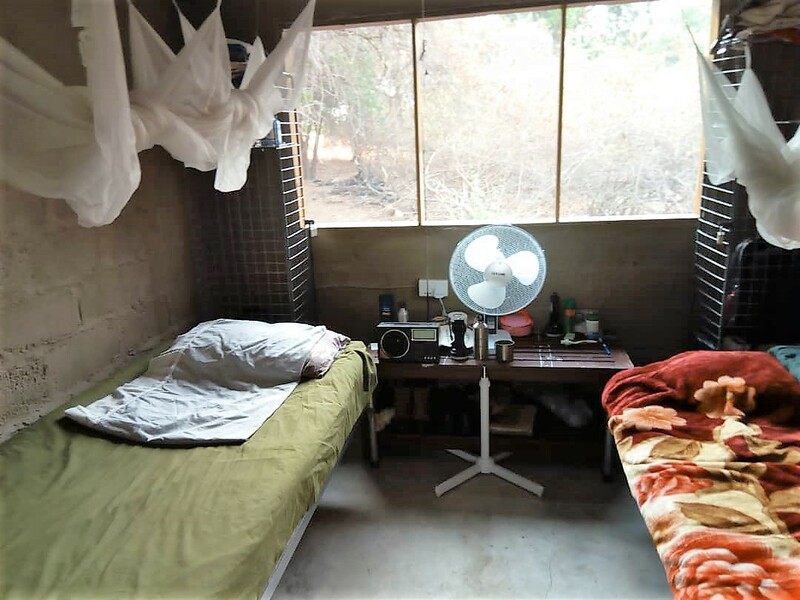 On the 7th November, two months after the fire, they moved into their new accommodation. Out of the ashes of the fire we built a fantastic new staff village. 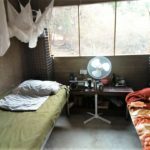 The negative has been turned into a positive with lovely new accommodation for every valuable person who is part of this awesome team at Lion Camp. We salute every one of our staff and those from Kaingo and Mwamba, our neighbouring camps, who worked so tirelessly to contain the fire and ensure our guests’ safari experience went ahead without disruption.